The Top 20 contestants perform one at a time, by team - and then the voting window opens via “The Voice” Official App and Twitter. While the next team performs – fans will vote to advance TWO artists per team. 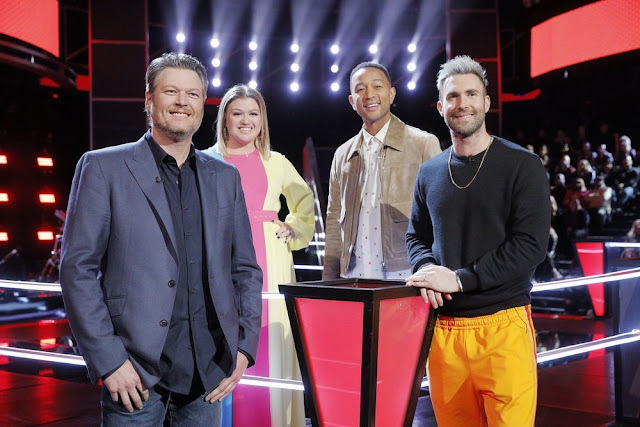 Then, throughout the show, coaches Miley Cyrus, Alicia Keys, Adam Levine and Blake Shelton will make the immediate decision to save one artist each to complete their roster, while the others are sent home. The remaining 12 artists will then move on to the final live show phase of the competition, which begins on Monday, Nov. 14.